Flag of Spain, courtesy Wikimedia. What does a plane ticket mean to you? What does it make you think of? Not only what do you think of and where, but why? Why would you go to that place? Have you been there before or have only dreamed of it to explore? Or to find a new life? This is merely a story that begins with a flight. My bittersweet experience that gave me eyes to a new world. A story of the love that I acquired for Spain and everyone in it, a love story, perhaps. I wanted a change. I didn’t realize the change it would cause in me, either. The mere thought of being across the world for a fresh moment; meeting a new family, learning about a different culture and experiencing an unknown place made me crave a touch of time away from home. Thus, I said yes to Córdoba, Spain. Little did I know I would go back a few months later. Skyscrapers touching into the clouds, cobblestone under my feet, friendly people and beautiful trees to fill the clean air. We toured Madrid with our large group exploring in awe; shopping and eating in lively Spain. A crowd of people standing and jumping, ready to overflow. Hugs, kisses and “holas” embraced me as we finally reconnected with our host families. I could feel the love emanating off their bodies toward me. Amazing; to be somewhere across the world having a family generously welcome you into their life. Granada, Segovia, Córdoba and my personal favorite, Seville. Also, we ate. A lot. Eating in Spain is an exceptional experience that made me feel like royalty. The food was rich and filled with love, and always had a side of bread. Each day was beautiful, even if the sun was not out. Even the hidden beams of sun could not have embellished more the pure beauty of Spain. The fogged light still brightened the buildings that opened up to the sky with their architecture. In each city the flowers guided us with their color and smell. I tried to soak up every place I went to spread what my eyes saw. I knew I could not come close, because it was beautiful beyond words. Thankful for my camera, and its amazing amount of storage, I took pictures of anything and everything I saw: colors; shiny and bright. Flowers, trees, gardens, rivers, picturesque landscapes and the people walking. My host family and this place is what led to my return six months later. I went back. Happy tears flooded the airport as we reunited with our Spain families. Finally my heart was at rest. Livsnjutare is Swedish for someone who loves life deeply and lives it to the extreme. Is an “enjoyer of life”. I have become this from my adventures because of a couple tickets to Spain. One ticket brought me across the North Atlantic to a warm flat in the outskirts of Córdoba, Spain, into the arms of many people I came to know and love, with all my heart. Now, I will wait and hold tight to the memories made. 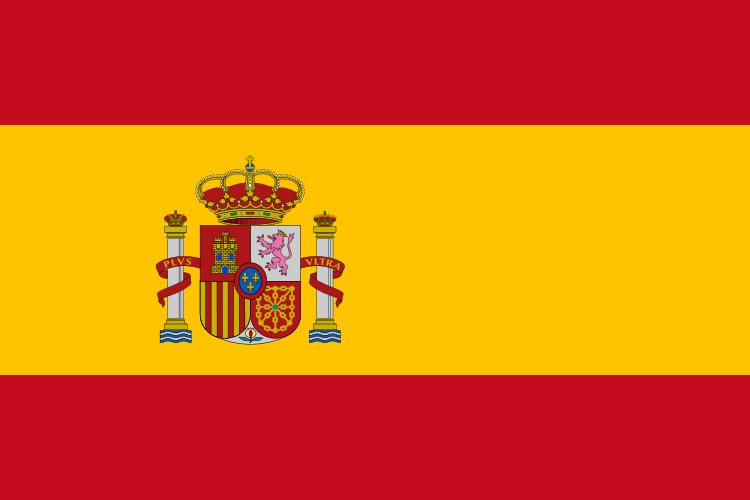 Image of Spanish flag courtesy Wikimedia Commons.